Ok, there's late, and then there's totally last minute. Like, Christmas is tomorrow kind of last minute. That's me. I wish I could say I was one of those people who has all of their gifts wrapped and under the tree already, but that's just not me. Most years, I'm still trying to figure out on Christmas Eve just what perfect present to get my friends and family. I'm horribly last minute, but not because I don't care, but because I genuinely want to give them something they'll love and I spend so long trying to figure it out that all of a sudden, it's like the day before I'm supposed to exchange gifts. Luckily, this year, my family is spending Christmas in Vermont, and so we've forfeited exchanging gifts in lieu of a family vacation. 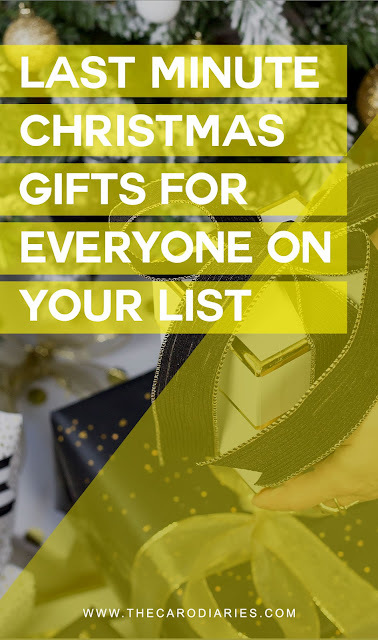 But that doesn't mean that I haven't put some thought into some great gifts. If you're shopping for someone who loves clothes, then a subscription to StitchFix is the perfect last minute gift! It's a monthly subscription box that sends clothing, handpicked by their team of stylists, based on a style profile you fill out about your personality, budget and lifestyle. It costs $20 a month, and that credit can be applied to any item you decide to buy. 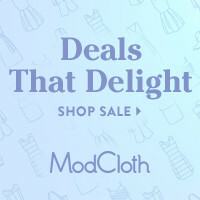 And if you choose to buy every item that's sent to you for any given month, you'll get a 25% discount! The best part is they cater for men, women and children of all sizes, so it's the perfect gift, no matter who's on your Christmas list! They offer gift cards ranging from $20 to $1,000 – so your gift can pay for a month's box, or a year's worth of clothes, it's your call! Want $25 off your first order? Use this link! This is actually something that I've wanted forever, after following BOTM on Instagram for the last few years, and finally decided to pay for a subscription starting in January. But I can't lie: I'm not-so-secretly hoping a year-long subscription shows up in my stocking on Christmas morning, so mom, if you're reading this – click the link! Anyway, BOTM is the coolest subscription box because on the first of every month, they release 5 books, usually in different genres so there's something for everyone, and you just select a book and it's shipped to you within the first week of the month. Don't like any of the books? You can skip the month and your credit will roll over so you're not charged for a month you don't use. What I mostly love about it isn't even the fact that a book arrives on your doorstep, it's the community that comes with it. Each book is read and recommended by a BOTM reader or staff member. 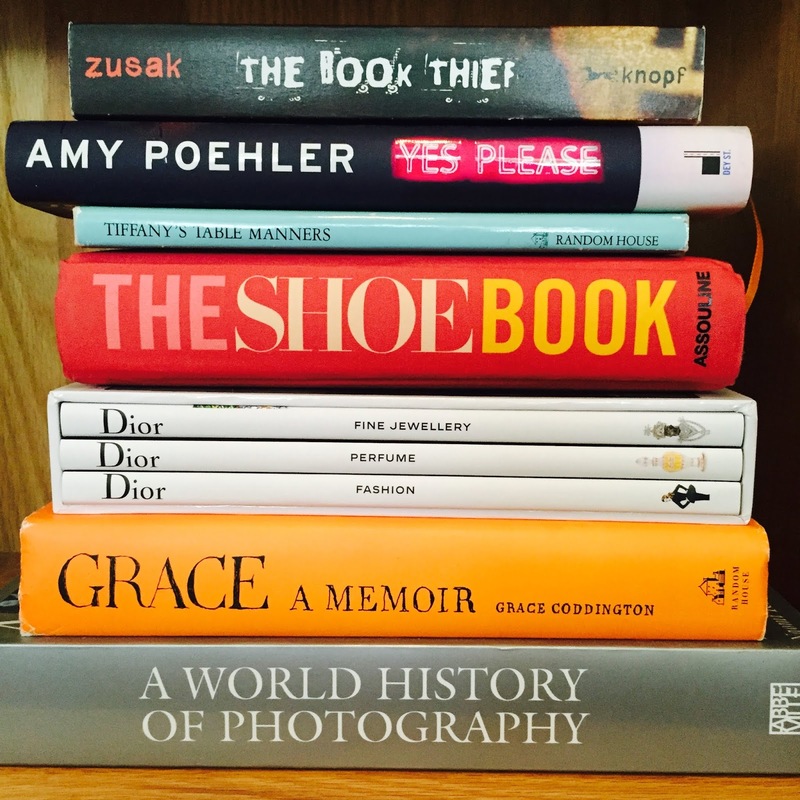 If there's a reader on your list, this is the perfect gift for them. The box is $15/month, and you can choose from a 3, 6 or 12-month subscription gift. Check it out here. This is definitely the gift for basically anybody on your list. If there's someone who wants to learn a new skill, SkillShare is a service that basically offers over 25,000 different classes on almost every subject – from photography to marketing to web development to accounting. Basically anyone who's anyone can benefit from this subscription, so it's the perfect last minute gift. Free users of SkillShare don't get access to any of the premium (aka, really good) courses – and you can choose from a 3, 6 or 12-month subscription to give your loved one. You can also get a 2-month free trial by signing up here. I am obsessed with this gift – and I've been brainstorming just who I'd choose to do this for ever since I discovered it. This could be the perfect gift for parents or grandparents, a significant other or even just best friends. You buy a subscription for your recipient, and every week for the next year, they'll receive one story prompt to answer via email (or record an audio response via phone if they're not the best writer!). You can choose from their question bank, which has over 600+ questions, or you can write your own questions that relate directly to your recipient's life and story. Then, at the end of the year, all of the responses are saved into a hardcover book, which you can customize with photos so that it's the perfect representation of your recipient's stories. I'm already imagining telling my grandmother's story, my parents' lives or even a future love story to tell. Plus, it's like two years of Christmas gifts in one: because next year, you can give the finished product, wrapped under the tree. Win/win! Right now, StoryWorth has discounted the price from $79 to $59, and you can take an extra $10 off using this link! If there's someone on your list whose New Year's resolution involves becoming more active, then a subscription to ClassPass is the perfect last minute gift for them! 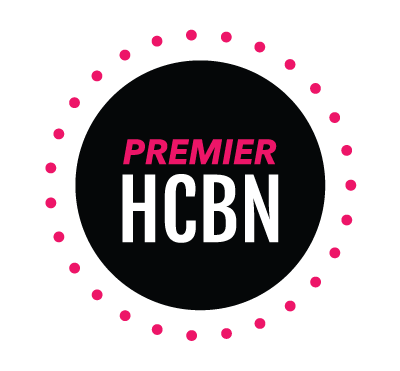 While pricing varies by city, fitness enthusiasts can sign up for different membership packages that allow them to attend a certain amount of classes per month. Being a ClassPass member gives you access to thousands of workouts, classes and videos no matter where you are in the country. Plus users can read ratings and reviews, try recommended classes and find the workout class that fits them. You can gift a $50 or $100 gift card to use towards memberships, or choose your own desired amount. Check it out! For those with kids on your list, BookRoo is the perfect gift! It's basically Book of the Month for kids, and you can choose whether you'd like a subscription box with board books, picture books or chapter books, depending on the age of the child receiving the box. Each box contains 2 books (picture/chapter subscriptions) or 3 books (board subscription), and it's the perfect way to get your kids reading more! Subscription boxes range between $25-30 per month, and you can choose from a 3, 6 or 12-month subscription to give as a gift, plus get an extra 10% off using the code HOLIDAY. So, there you have it – six ideas for absolute last minute Christmas gifts because, hey, Christmas is tomorrow! What's your go-to last minute Christmas gift? Let me know in the comments! I've always been a major lover of books. Even as a child, my parents could never tear me away from whatever book I was reading at the time, and I hold many of the books I read as a child near and dear to my heart. This love for reading definitely continued well into my adult life, but it got a little harder to dive into a book when I got swamped with work in college. I'd spend months on end reading nothing but academic articles and textbooks, and then spend my winter and summer breaks staying up all night reading books (I swear I'm not a nerd!) like it was my job. I learned that I'm an all-or-nothing reader: I'm either reading 5 books in a week, or I'm reading one book a year. But obviously, this year, I wanted to change that. One random day in September, I picked up a book and finished it – and then started a new one right away. I picked up book after book, somehow reading 30 books since then, and up to 34 for the year so far (told you I'm all or nothing, I'd only read 4 books from January to September!). ONE // When I realized how much I was enjoying getting through those first few books back in September (I started easy, with a made-to-movie book that I knew I'd enjoy), I knew I would have to carve out time every day to read more. I decided to go simple: I'd get in bed half hour earlier than usual, and commit 30 minutes to reading. I found that just those 30 minutes would make a huge difference, and I found myself opting to go to bed earlier and earlier just to read (or stay up later and later, which is a dangerous game on a work night lol). TWO // While I love a paperback, using an e-reader has changed the reading game for me. I first bought a Kindle almost ten years ago, and have since upgraded a few times (and am certainly due for an upgrade now! ), but using the e-reader has made it so much easier to take my book with me, no matter where I'm going. Recently, I went on a weekend trip, and instead of lugging actual books with me, I was able to use my Kindle and read more books than I was even planning to! THREE // One thing I found that really helped me to read more was to make the best use of my free time, meaning I bring my book almost everywhere I go (again, this is why I use an e-reader mostly). 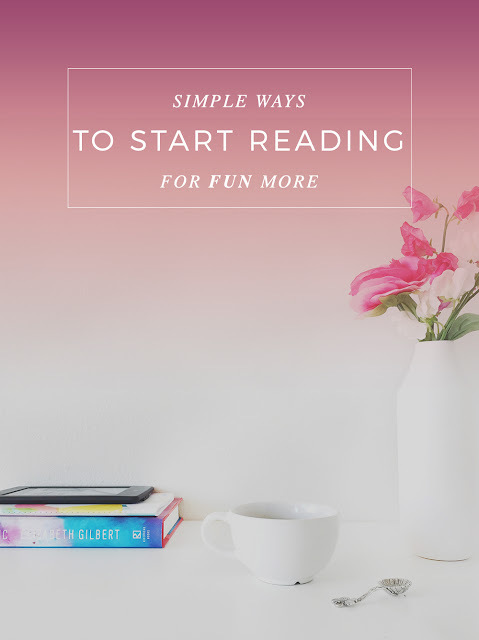 There are so many situations where I find myself waiting aimlessly, and I resort to scrolling mindlessly through Instagram or playing dumb games on my phone, and once I started reading again, I realized I could be using this time to read. So, that means that when I'm getting my nails done, waiting in line at the bank or even just eating lunch in the office, I'll read a chapter or two. Not only do I get a chance to read, but it helps to pass the time faster. FOUR // Goodreads was instrumental in my reading more this year. After I read that initial book back in September, I logged into my account to update it, and found so many books I'd put on my 'want to read' shelf. 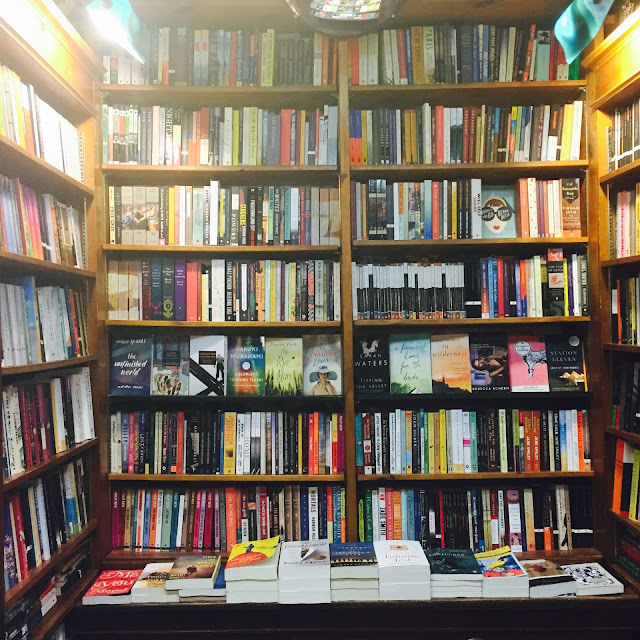 From there, I kind of dove headfirst into it, finding new books and reviewing them as I finished them. It also helped to read real reviews from other readers – there's nothing worse than reading a blah book, and I didn't want to risk falling into a slump, so I always made sure the books I were choosing had mostly good reviews. FIVE // One thing that always kept me motivated was having friends who liked to read alongside me. My cousin Shannon and I would trade book recommendations, my friend Sabrina lent me a book she thought I'd like, and following a friend's bookstagram, Book of Cinz, on social media always encouraged me to keep going. Seeing their progress, or just having someone to discuss a book with, kept me on track whenever I felt like not reading. SIX // Perhaps the most important thing that's kept me so interested in books over the last few months is that I never forced it. There are times when the last thing I want to do is pick up a book, and I go through mini-slumps of not reading for a few days, but when I feel like I'm ready – and the time usually comes when I am – I jump back in in full swing. Hopefully I've inspired you to pick up a book, or to read more as part of your 2019 Resolutions. Do you read a lot of books? What do you do to make sure you're reading? Let me know in the comments! So, if you hadn't noticed by now, I haven't been all that active around these parts. In fact, I've only posted twice for the year... and the year's almost done. 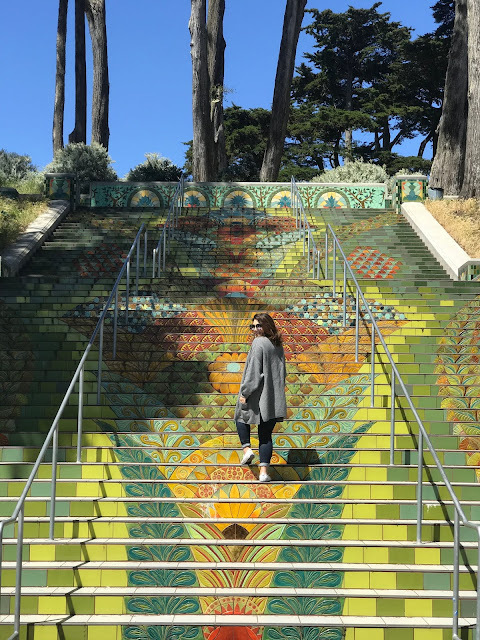 While I know I haven't been the world's best blogger for quite some time, giving up on this blog (let's be real, I totally gave up), was heartbreaking and I felt deep down in my heart that I needed to open up the backend and start writing again. But it's hard..
2018 was a rough year. I mean, I know I say that every year, but seriously, 2018 was a lot. Not in a bad way–because it definitely had its ups too–but it certainly had its downs. Whether it was feeling totally swamped at work, creatively uninspired, finding it hard to create that work/life/me balance, struggling with my mental health, or just feeling like I couldn't figure out who I was, well, it obviously didn't make for the best blogging atmosphere. 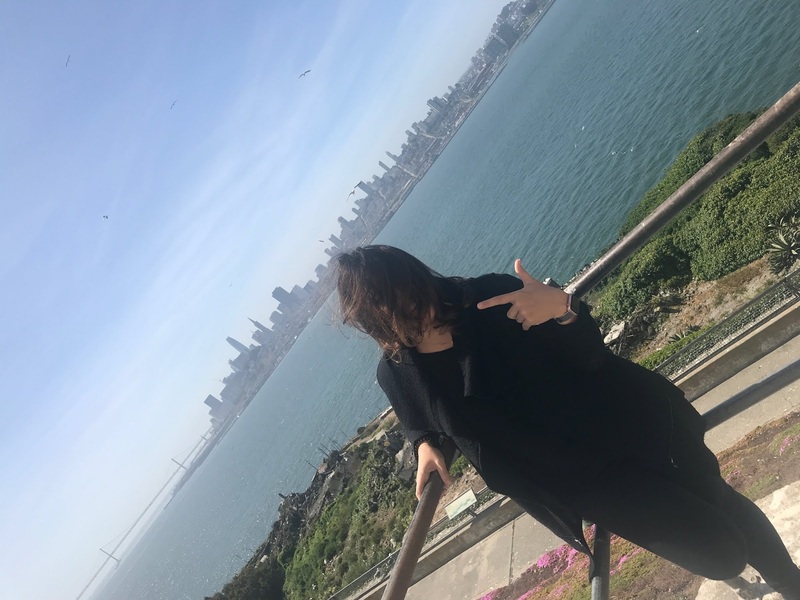 I think I graduated college and jumped into the working world so quickly, and felt like I figured life out, and then things kept throwing me. And now, a few years post-college, I'm realizing I still don't quite know who I am. Not professionally, because I feel like that's the only part of me that feels like I'm on the right path. But I just feel like I need to figure out this new me: the non-college Caroline, the non-high school Caroline, the get-over-it-you're-adulting-this-is-your-life Caroline. And it's tough, not just for me, but for anybody. And I felt like if I was battling myself internally, how could I come online here and pretend like I had my life all together? (I don't). How could I talk about clothes or shoes or makeup when I wasn't sure who I was supposed to be? (I couldn't). How could I commit to my blog, if I can't even commit to me? (This one I definitely can't). So I did the only thing I thought to do: I stayed away. I haven't so much as logged into my blog Instagram in months, and this was the first time I've even hit my blog icon in the last 8 months. Just typing that out is insane to me. But what I've realized is that I'll never have it all together, no matter how much I try. I'll never be perfect. I'll never be that Instagram blogger with the perfect hair and the perfect smile and a constant new wardrobe and an office and bedroom that better belong on Pinterest. Because plain and simple, that's not me. And if it's one thing I've learned this year: it's to be unapologetically me. So that's what you're going to get from now on: unapologetic Caro. Because why should I be sorry for being who I am? So, that being said, I hope you'll join me for the ride, and I hope you'll enjoy getting to know the real me – no matter what that entails. I won't be rebranding (as yet.. though I eventually will: this design doesn't feel 'me' anymore, but I'll always remain TCD.. at least for now), and I won't be changing the types of things I blog about. But what I'll be doing is infusing more me into my posts. Real, unapologetic content. No Instagram BS, no selling dreams and telling lies. What you see is what you get. I hope you're ready, because I am! Welcome to the newest chapter of The Caro Diaries. I hope you'll keep reading.. Whenever I'm feeling particularly stressed or anxious (which let's be real, can happen a lot! ), I make the conscious effort to put aside ten minutes for some me-time. For me, that means unplugging, turning my mind off and focusing on anything but the actual task or thoughts that are causing my discomfort. But it's not always easy to commit to giving myself the time to actually stop - so I've created a sort of routine. It involves using a one-minute face mask, spending some time journaling and listening to my go-to mellow playlist. I do this usually once or twice a week depending on my level of stress, but it's the easiest way to stop me in my tracks and kind of bring me back down and out of my own head. In the past, I realized that I would sort of rush through my "me time", and not truly give myself the time my body and my mind needed to relax, rest and rejuvenate. So I changed up my routine, and I introduced Bioré strips. I know - that's weird, right? For me, it was a win/win. I could commit the ten minutes that it took to clean my pores, while still being able to do everything else I enjoyed in my routine. Plus, I get to get rid of blackheads - so honestly, it's a good plan. 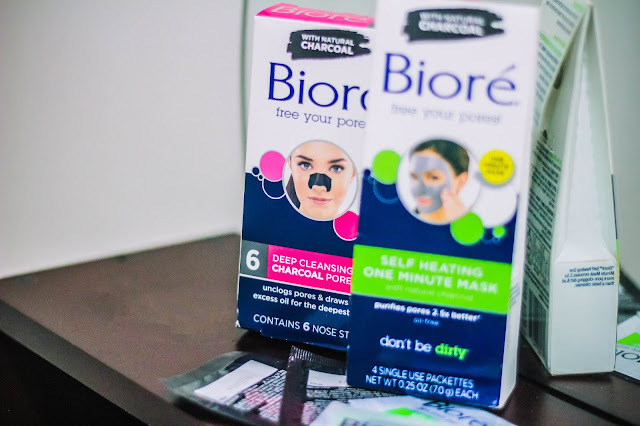 I've used Bioré products basically all my life, so when I saw their new charcoal collection, I knew I had to try it. 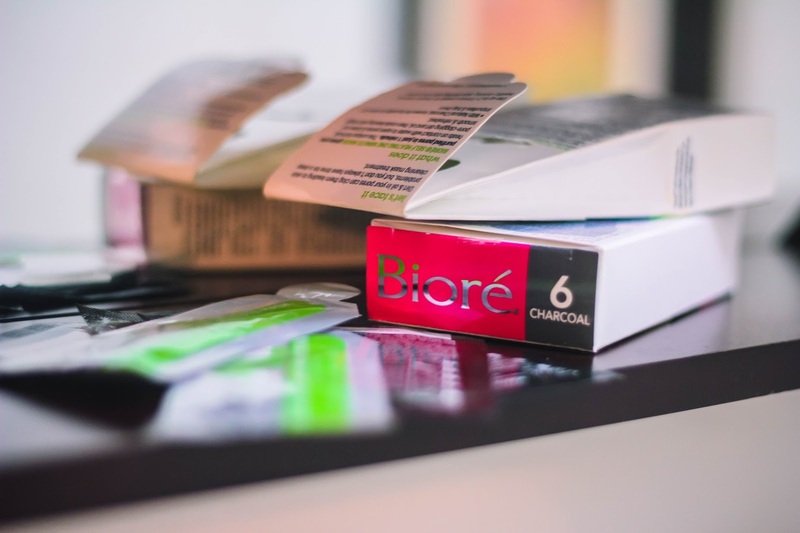 My go-to products? The Bioré Deep Cleansing Charcoal Pore Strips and the Bioré One Minute Self Heating Mask. YALL! These babies WORK! I don't know what kind of magic they put in that mask, but it pours out feeling all cool and then warms the minute I apply it to my face. Plus, it doesn't harden and it takes only ONE minute.. which is a serious game changer for me. I've tried my fair share of charcoal face masks - and you know those viral videos of the girls crying peeling it off? Yep, that's me. I cannot do it and the masks that harden always end up making my face feel stiff and dry after. 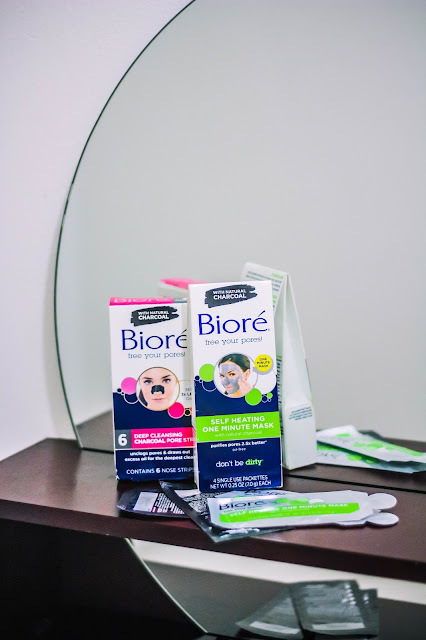 Not the case with the Bioré mask.. so seriously cannot recommend this one enough! I can't lie to tell you.. 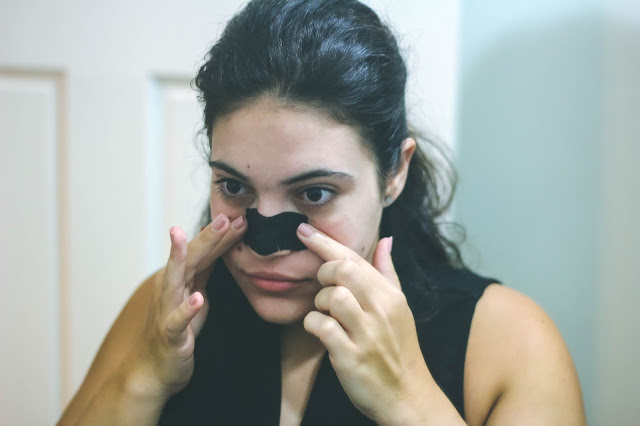 I've been using pore strips since I saw Anne Hathaway's infamous scene in the Princess Diaries. 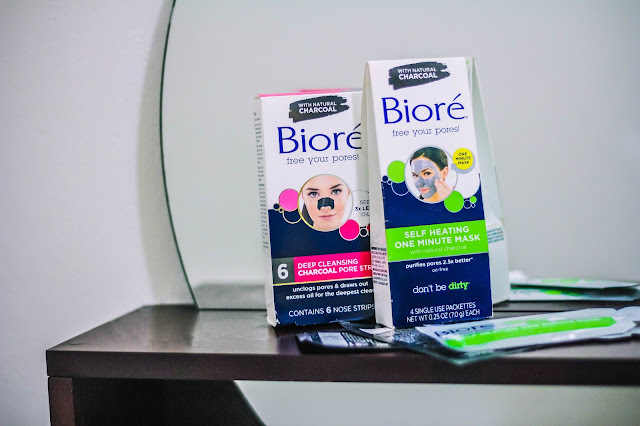 Bioré re-introduced their classic pore strip with a twist, infusing it with a natural charcoal to get deeper into your pores and get rid of those nasty blackheads. We don't want any of that! 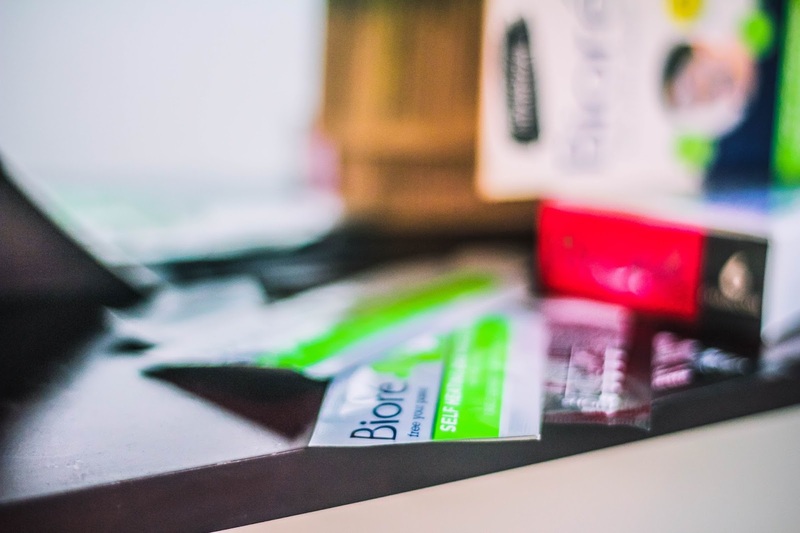 The best part about it all is that using the strips take only 10 minutes, and the mask only takes a minute, so if you're looking for a quick unwind like me.. OR if you're just trying to do skincare without sacrificing time or money, then these bad boys should be a staple in your routine! So, earlier last year, I finished my 101 in 1001 list. No, by finished I don't mean that I completed it, but more so that the 1,001 days had passed. And out of those 101 things, I completed a whopping 28. Yep. Twenty. Eight. I failed, simple to say. Honestly, I was disappointed, but I realized that when I wrote the list back in 2014, I didn't really know what to write - and I created some weird, unrealistic goals - and some that looking back, I just knew I'd never accomplish. We've all heard the saying that life is fragile and time is fleeting, but 2017 has really showed me that we have to live each day like it's our last, because we don't know if it will be. After some deaths in my family, and the death of my good friend Ben last year, I'm more determined than ever to live a life that's fulfilling. And so, I'm starting again. I actually originally wrote this post in October, and I had spent all of September really thinking about the list and what I wanted to accomplish. And then, I took a blog break (unwillingly, cause of a crazy busy time at work). But, I started the list on time and kept at it, determined to make it through. Some of the list is trivial, some is stupid and some really may not happen, but I committed these 1,001 days to making sure I do as many as possible. July 17th, 2020 is one day before my 26th birthday, and so I'm ending this list the day before I start a new year and a new chapter in my life - so here's to hoping my early twenties treat me well and that when I start my late twenties (vom), I'll be 101 things greater! Sort through my wardrobe, donate or throw away things I don't wear. Once a month after initial cleanse, donate at least 1 item. Learn how to do makeup professionally – take a course with a MUA! Learn how to make five new recipes – and perfect them! Build up my closet full of all the basics. Pay for the person behind me in line. Have a New Year's Eve kiss. Get to my goal weight once and for all. Volunteer at and give back to my old school. Find a cause/charity I'm passionate about and give of my time (+ money). Re-decorate my space at home so it feels more "me". Write a letter to myself to open on July 17, 2020, when my 101 in 1001 list is over. Create and stick to a budget and savings plan (+ build my savings account). Create a 5 and 10-year personal and career plan, and compare it to my freshman year of college Personal Success Plan. Send 25 handwritten letters to friends or family. Interview my grandmother about her life and preserve her words. Give five 'just because' gifts. Send a surprise care package to a friend. Plan a trip with my blogger friends. Have my tita (grandmother) teach me how to make an Arabic dish. Send flowers to someone one day out of the blue. Blog three times a week for three months. Start a new blog series. Publish three "how to" posts on my blog. Write at least one personal post a month. Build my blog email list. Make the switch to Wordpress. Be featured on a website I admire. Build my name in the industry in T&T, and be known for my work. Speak at a conference or panel discussion. Create my dream office space. Be featured in a magazine. Establish and stick to my editorial calendar. Unplug for a full 24 hours - no iPhone, laptop, TV, etc. Go to bed at 10 pm every night for two weeks. Give up all sugar for a month. Journal every day for an entire year. Work out five days a week for three months. Drink only water for three months. Go one month without shopping. Read for 30 minutes every night for one month. Make my bed every morning for a month. Watch the sun rise and set in Hawaii. See a TED talk live. Travel to a new continent. Hike to 5 different waterfalls/sights in T&T. Go on a solo trip. Go on a real picnic. Pop champagne off the top of a building. Fly in a hot-air balloon. Drive in a convertible with the top down. Learn how to ride a bike. Buy myself one expensive handbag I'm lusting after. Have a font of my handwriting made. Create my own Lightroom presets. Leave a 100% tip for great service. Brush up on my calligraphy skills. Design a collection or product for a company. Design a section for a carnival band. Send a message in a bottle. Read the dictionary cover to cover. Get my initials engraved on a beautiful leather notebook. Hide a note inside a book in a library or bookstore. 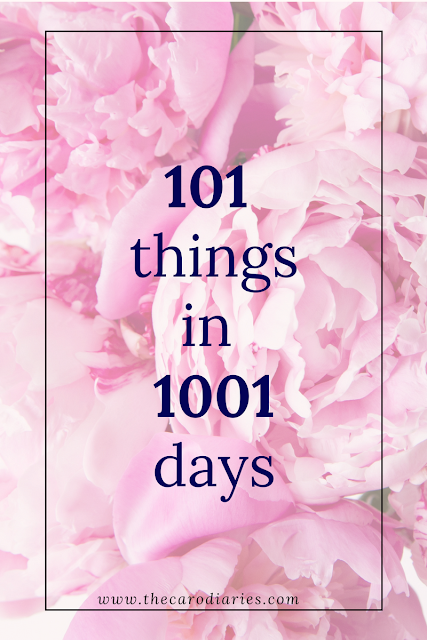 Do you do your own 101 in 1001 list? What's on your list?